The stunning houses of Grant Kirkpatrick and his firm, KAA Design, exemplify why so many of us look to Southern California as the pinnacle of sophisticated modern living. Two dozen magnificent custom homes,modern in style, are built of sensuous materials and sited to make the most of nature, views, and sunlight. This collection of visionary residences, shown in gorgeous photographs and colorful drawings, represents the California Dream, by an architect chosen by celebrities including TomHanks and Rita Wilson, Matt Damon, and Julia Louis-Dreyfus, for their personal retreats. Kirkpatrick offers his reflections on these beautiful projectsand the design strategies behind their creation. 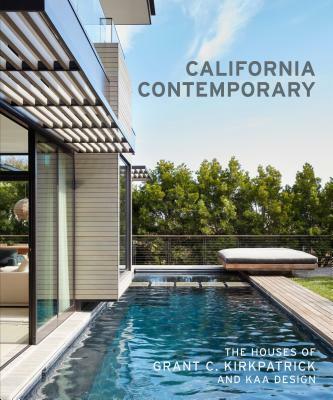 Grant Kirkpatrick, a native son of Southern California, writes and speaks frequently on Southern California as a hotbed for design. His work has been extensively published in design magazines such as Architectural Digest, House Beautiful, New York Times, L.A. Times, Coastal Living, Sunset magazine, and the Robb Report. His outdoor furniture is available through Design Within Reach, as well as a line of prefab homes. "When it comes to reinterpreting iconic California architectural style, Los Angeles architect Grant Kirkpatrick and his KAA Design firm are experts."